Another largely uneventful week, capped off with a highly eventful batch of fan art! This is the last call for gender-flipped fan art of our characters! 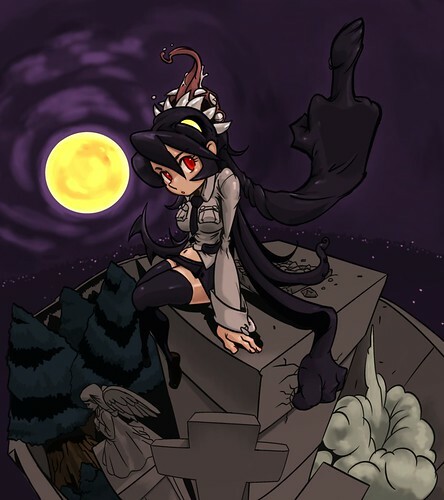 Draw your favorite Skullgirl as a dude, or your favorite Skullboy as a gal and send it our way, and next Friday we’ll post the results! 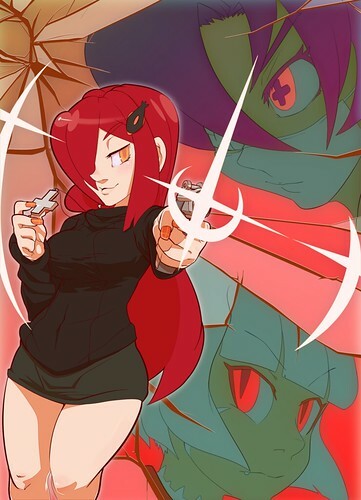 Friend of the team, Franpaccio, submitted this gorgeous portrait of Parasoul, Valentine and Ms. Fortune! Is Samson doing what I think he’s doing? Well, I never…! This portrait of Double by 佃煮 is rife with commentary on the duality of life, death and the inability to control one’s release date. 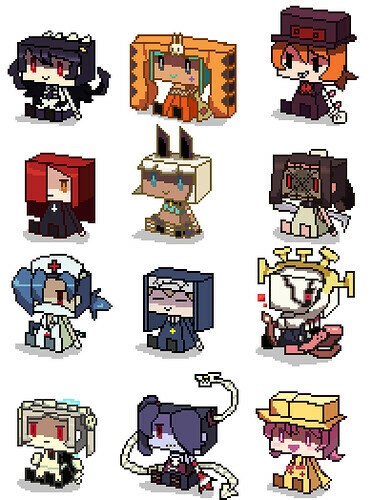 The adorabooru danbooru pixel renditions of the Skullgirls crew (and three MYSTERIOUS CHARACTERS) by ido＠5個たまったら消化 are sure to brighten anyone’s day. Umbrella is not “mysterious”, Peter. She appears in the story mode trailer and you’ve even mentioned her name in a previous Fan Art Friday, remember ? I love all of them! Double (mah waifu) and the pixels are my favorites, though. My favorite thing here, though, is your commentary on each one. Especially Double’s. Kudos to whoever typed that in (I’m thinking it was Mr. Bartholow, but of course, I don’t truly know). Keeping being awesome, Team. You too, fans. Mysterious characters? Pretty sure you mentioned Umbrella and Squiggly’s name on previous fan art fridays already. The pixel renditions are brilliant. They all are amazing I wish I could say this will tide me over till the release but if I’m honest it makes me want it more hahahahaha! Nice! I always enjoy viewing fan art. 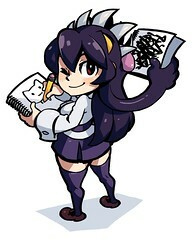 I hope Skullgirls information will be officially announced soon. This site has been part of my regular web browsing for a few months now. The quality and the seemingly never ending amount of fan art for this game is amazing considering it hasn’t been released yet. I’m definitely looking forward to it! It looks like a blast! Hopefully we can all get our grubby little paws on it soon! She’s kinda like a mullet, but instead she’s angel in the front, demon in the back.